Momo becomes an heiress and Tomio finds true love. This is a short chapter but I didn’t want to spend any more time away from the main house so I’ll start with Momo and head back to Tomio. Remember when I mentioned that maybe Momo would want a rich husband she could just tolerate? Turns out that she actually really likes Cecil. Oh, and his last name is Castle so it’s pretty perfect. I’ve never seen her smile like this before! She wasn’t really feeling it and turned him down. 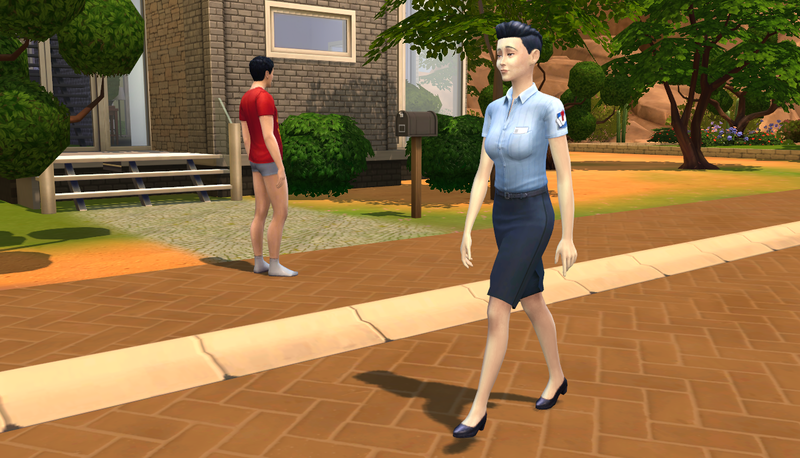 Something I noticed was that she had a tense moodlet that said something like “sometimes it just isn’t the right time”. I’d never seen that before! He slept off his embarrassment (it wasn’t mortification, thankfully) and the two were back to normal the next morning. 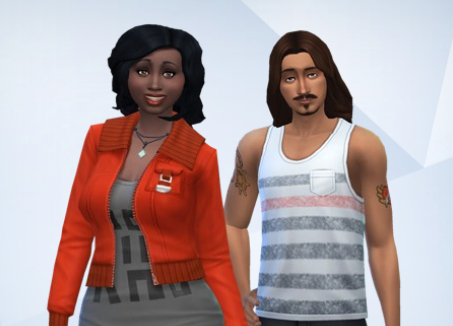 They lived together for a while and Momo really took to her new lifestyle of the rich and famous. Rich because of our friend motherlode and famous because Cecil was now the editor and chief of the newspaper! She shot up in her new found career of writing, too, and took the novelist path, famous in her own way. 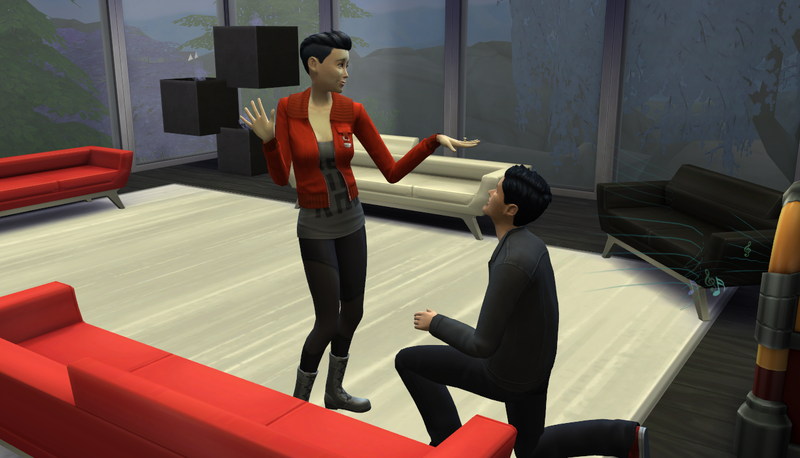 This time when he proposed she accepted and they eloped on the spot. She can be so elegant when she wants to be. It’s like she was meant for this life. Shortly after THAT she announced that she was expecting. I’m wondering if she’ll be the fourth of gen 9 to have twins. Sora had twin girls, Yoshi had twin girls, and Sami had twin boys (we’ll meet them when they’re kids). We’ll soon find out what Momo and Cecil have and I hope it’s a daughter because this house has a beautiful room for a teen girl. I’d seen her in the manage households screen and really liked her look. A little androgynous, different, red to match Tomio’s look. They hit it off IMMEDIATELY. So quick. She’s romantic, good, and lazy. She’s lazy! Just like Tomio! I dolled her up a little and she’s one classy lady!